Fine lines, wrinkles, sun damage, and scars all affect the way you feel about yourself. While there are many products available on the market that claim to give you long-lasting results, these products rarely deliver and may cause additional damage to your skin. Dr. Lisa Bunin and her team of aestheticians offer the safest, most effective treatments for fighting the signs of aging. CO2 Laser Resurfacing is a minimally invasive procedure that is used to resurface facial skin with wrinkles caused by excess sun exposure, crow’s feet, and acne scarring. The high-energy, amplified light waves of the carbon dioxide (CO2) laser vaporize the top layer of skin instantly, with no bleeding and minimal trauma to the surrounding skin. When compared to chemical peels, CO2 Laser Resurfacing allows for more precision, which generally translates into a more effective treatment for minor skin flaws and more delicate skin. Laser technology has brought many new treatments to the medical community, including cosmetic procedures. The lasers used by Dr. Bunin for CO2 Laser Resurfacing are specifically designed to target certain skin flaws, such as fine lines, wrinkles, scars, and pigmentation problems without damaging the deeper layers of the skin. For the CO2 Laser Resurfacing procedure, Dr. Bunin uses a special device to deliver laser energy to the damaged skin. The precise nature of laser energy allows her to target only the problem areas. 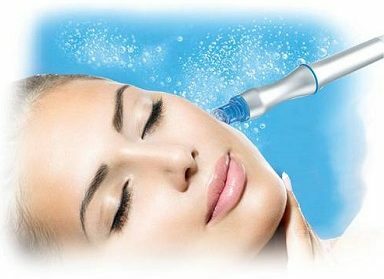 As she administers the laser energy, the outer layer of the skin is removed and the deeper layer, or dermis, is heated to stimulate the production of new collagen fibers. The collagen creates new skin that is generally smoother and tighter. A moist dressing is applied to the treatment area to help with the healing process. Post-treatment care plays an important role in the outcome of CO2 Laser Resurfacing. Patients should follow Dr. Bunin’s instructions carefully after the CO2 Laser Resurfacing treatment. In some cases, several CO2 Laser Treatments may be required for best results. While CO2 Laser Resurfacing does provide long-term improvements to skin tone, texture, and pigmentation, patients are advised to use proper protection against sun exposure and other environmental factors that cause damage to the skin. Daily skin care is also important in maintaining the results of CO2 Laser Resurfacing. To find out if you are a good candidate for CO2 Laser Resurfacing, schedule a consultation appointment with Dr. Bunin. To schedule an appointment, or for more information about CO2 Laser Resurfacing, please call 610/435-5333.